Zefie and Argyris celebrated their wedding reception at Flowerfield in St. James, Long Island, New York with a traditional Greek money dance. 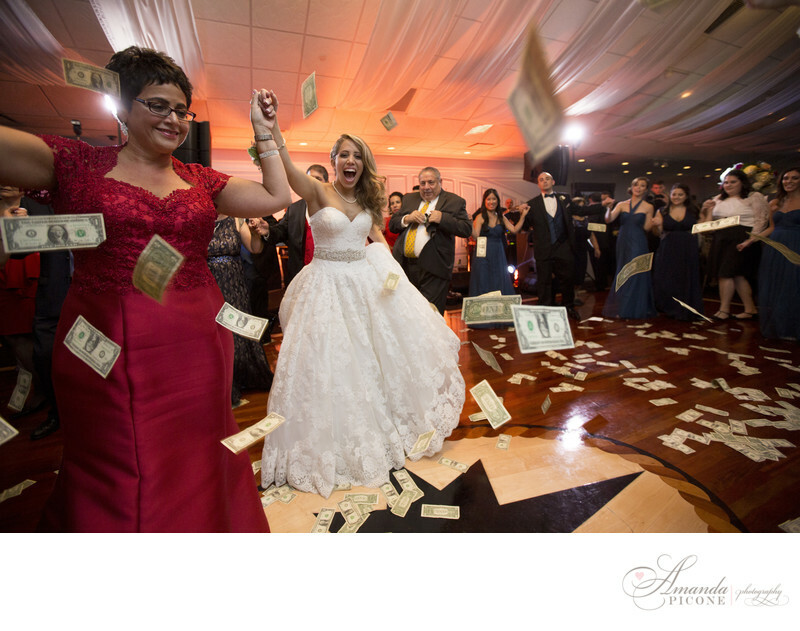 Money is throw in the air in celebration as the couple dances with friends and family. Location: Flowerfields, St. James, NY.